Create an impressive media wall with Semblance home theater. 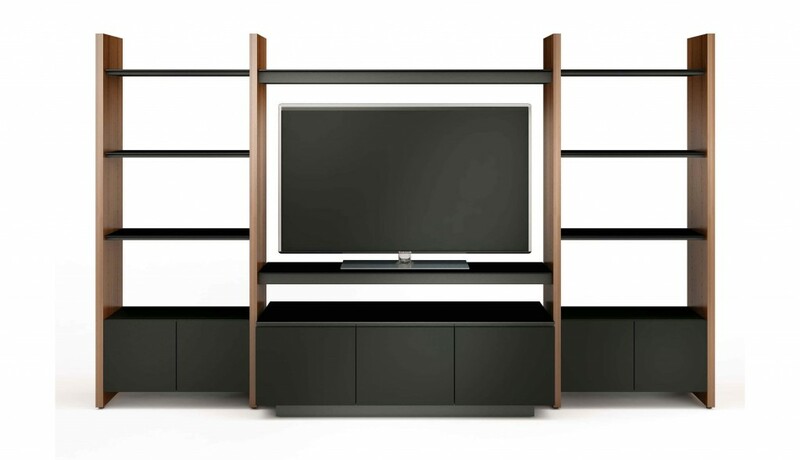 An open system can be created by using AV shelves to support a TV and components. 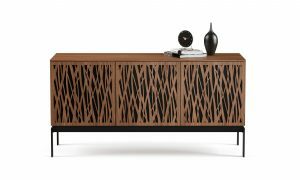 For an enclosed system, the Semblance edition of the Mirage cabinet keeps components out of sight yet remote control accessible through coordinating micro-etched black glass doors. 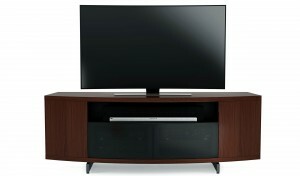 Semblance home theater can accommodate TVs up to 65”. 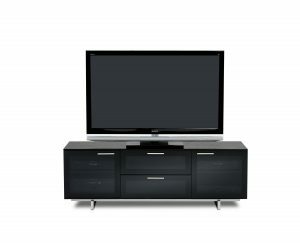 Semblance seamlessly integrates technology into the home while providing versatile space for storage and display. Soft close hinges on cabinet doors provide an elegant touch. Opaque micro-etched glass doors conceal an adjustable shelf. Micro-etched tempered glass shelves are resistant to fingerprints and have a luxurious feel. 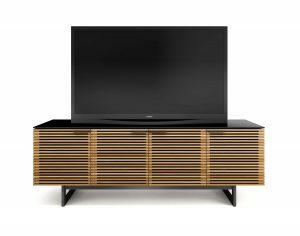 Vertical panels are finished with richly grained natural hardwood veneers. Adjustable levelers are built into vertical panels to compensate for uneven floors. The Semblance AV shelf includes an adjustable and removable wire management tray allowing cables to be routed out of view. Optional wire management add on accessory available to conceal wires along vertical panel.